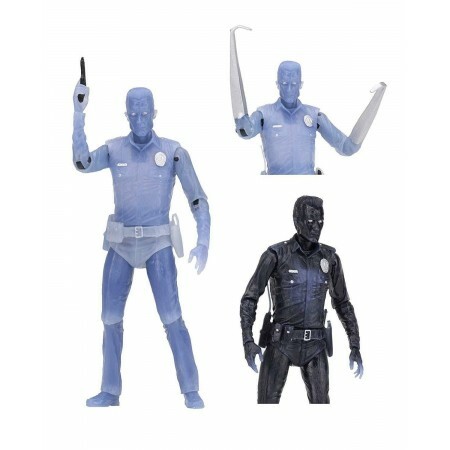 Enjoy a blast from the past with three figures dedicated to the classic Kenner Terminator 2 toys of the early 1990s! Taking inspiration from those designs, our team has transformed these Kenner classics into modern versions with all of today’s detail and articulation. Power Arm T-800 features a detailed weapons arm with interchangeable missile launcher and grabbing claw attachments. 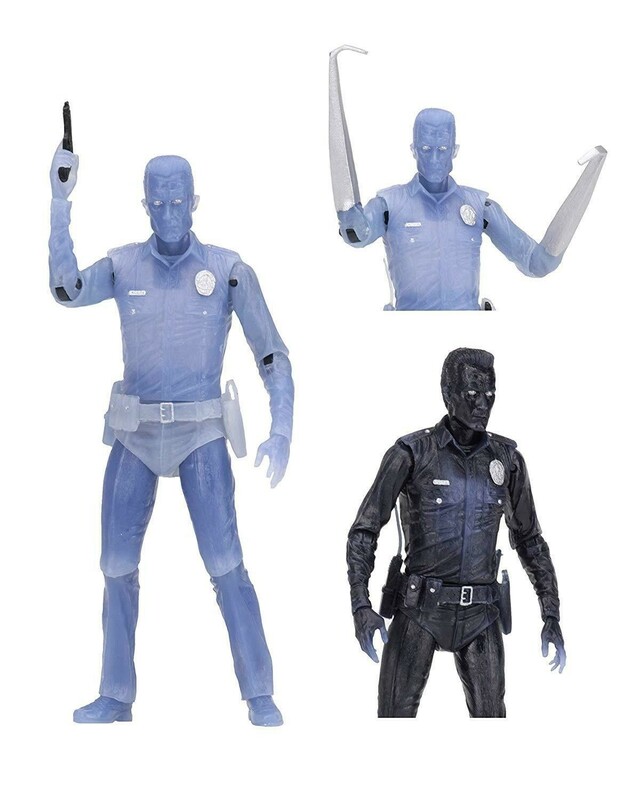 White Hot T-1000 changes color when dunked in water, just like the original version. Metal Mash Endoskeleton features working pistons and comes with a plasma rifle accessory. Each figure stands approximately 7” tall and is fully articulated.